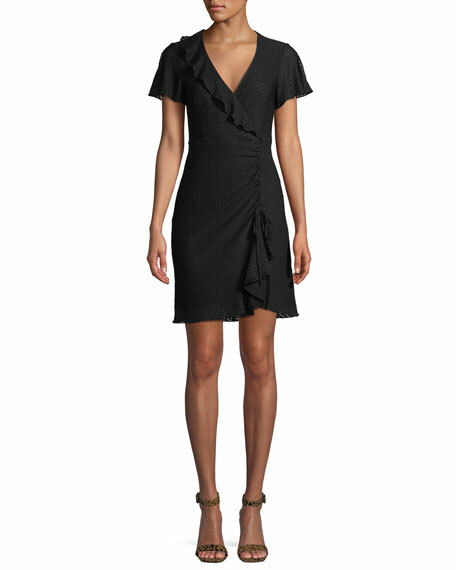 Nanette Lepore "Calming" dress with ruffles. 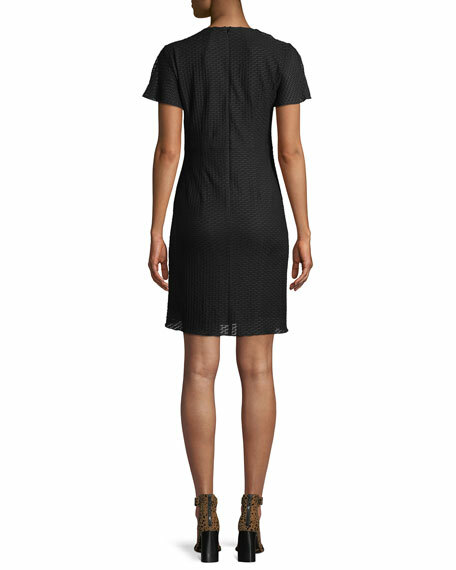 V neckline; ruffle trim at right. Short flutter sleeves with slits.